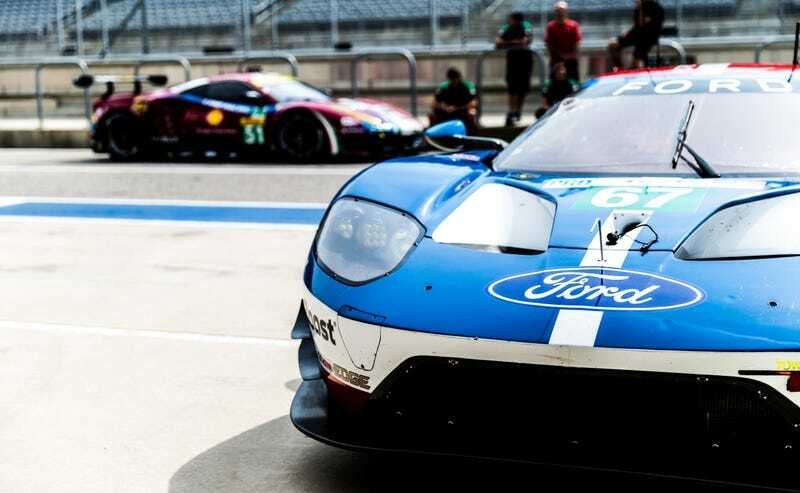 Are you also in Austin, Texas, to enjoy the last World Endurance Championship race for the foreseeable future (as far as any of us know right now)? Rad! So are we. That’s why we’re planning a meet-up 8:00 p.m. TONIGHT at Lustre Pearl East, right between Circuit of the Americas and downtown. This is our last chance to see the Porsche 919 run in the United States, so of course I wouldn’t miss it for the world. Photographer Kurt Bradley is also here, shooting photos of these endurance race cars so incredible and so out there that some almost no longer look like cars. Lone Star Le Mans is still my favorite race weekend of the year by far: a six-hour race of the same cars you watched try to run for an entire day at Le Mans, right in my own backyard. We won’t get one here in 2018, so let’s send this off with a party. Join us! We must not let the LMP1 class as we know it leave America quietly. It is our duty as fans to get together and celebrate. Where is it? Lustre Pearl East (not to be confused with the Lustre Pearl on Rainey Street close to downtown), 114 Linden Street, Austin, Texas 78702. There are munchies, burgers, and sandwiches just in case you put off dinner because track food is expensive. Who will be there? Kurt, myself, many friends of the site, and YOU! We knew a lot of you wanted to make the last WEC date set (as of now—you never know!) for COTA and have planned a meetup accordingly. Please entertain us with that one time you realized that John Hindhaugh isn’t just a disembodied voice somewhere in the ether. Where should I park? There’s a decently-sized parking lot on site, plus free street parking in the neighborhood around it. Trust me, we of all people think of this stuff. Hey, I ran into [famous person]. Should I invite them? Heck yes—the more the merrier, even if they just play Fake Charlie Whiting on the internet. Invite the whole team! Even better if they have incredible tales of drivers behaving badly, or are the driver who tends to behave badly. Been there, been That Person; we won’t judge.